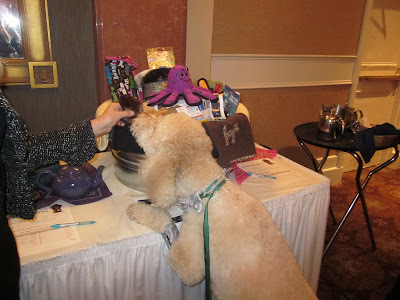 When SSD Fire got a sneak peak at the silent auction items for Boots & Bling, he knew that Boots & Bling was going to be something to write home about. 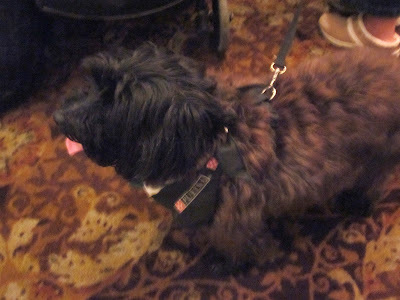 And he wasn't disappointed! 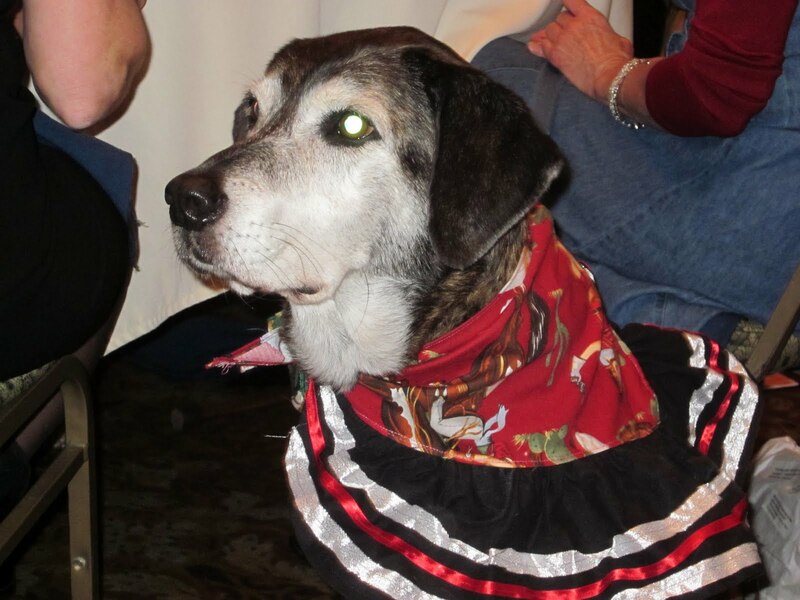 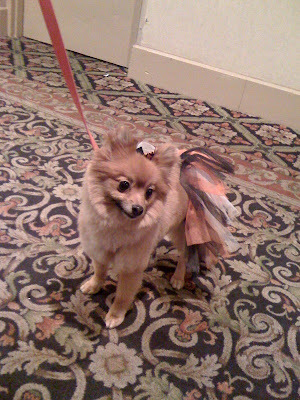 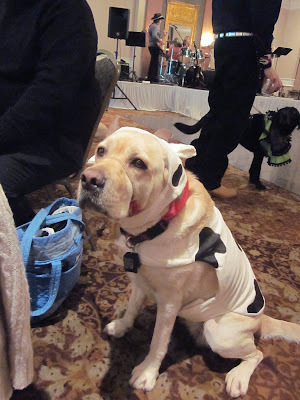 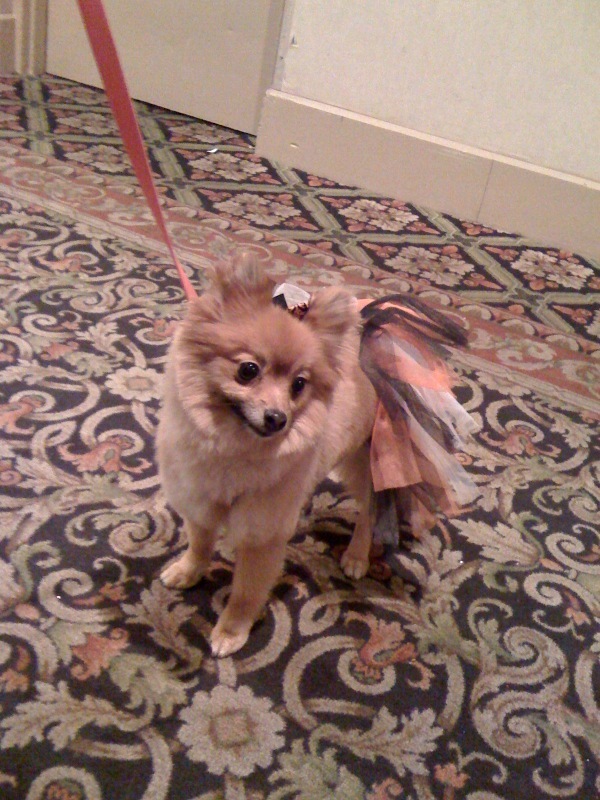 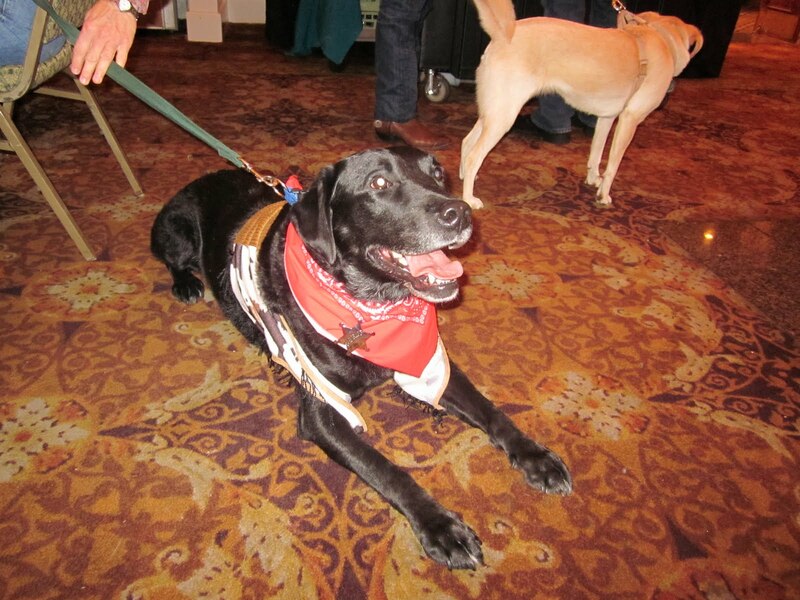 On Sunday, guests and their dogs arrived at the Holiday Inn Harrisburg/Hershey decked out in their finest western or formal wear. 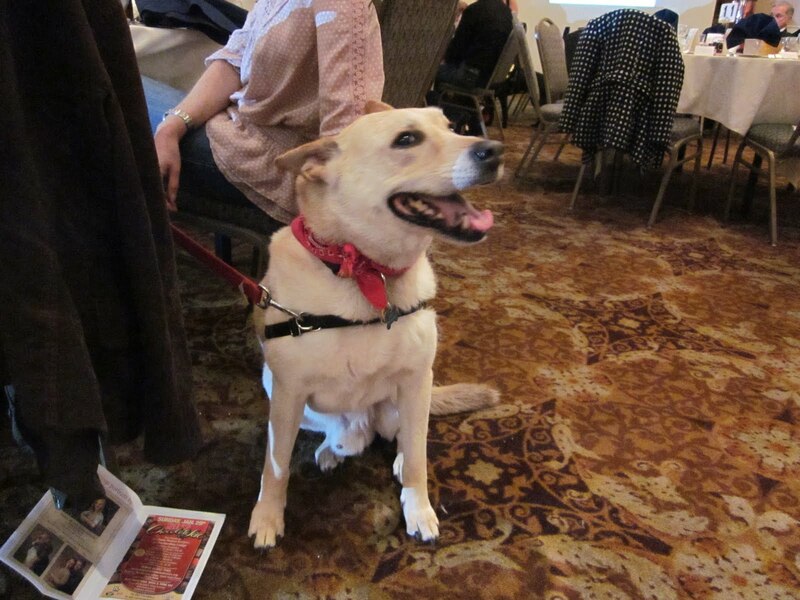 Each dog received a goodie bag full of tasty treats, and guests had the opportunity to have their portrait taken by Terry Rowe Portraiture. 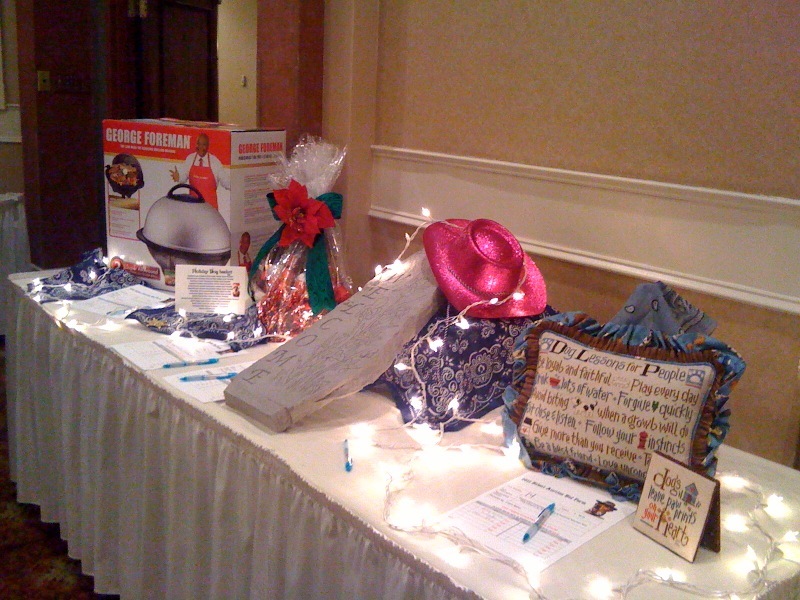 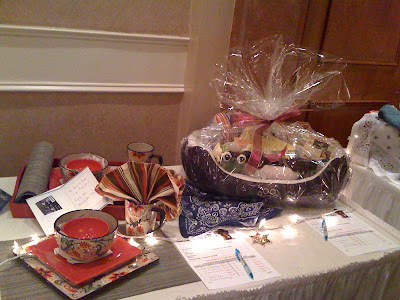 The ballroom was surrounded by tables full of items guests could bid on in the silent auction, including a basket of fine fragrances donated by Macy’s, automotive detailing donated by Bobby Rahal Automotive Group, an oak finish jewelry box donated by Mele & Company, a portrait sitting donated by Willow Street Photography, a gift basket and gift certificate donated by Classic Drycleaners, doggy gift baskets filled with leash and collar sets, treats and toys, and much more! Guests and their dogs strolled around the room to the boot-stomping music of The Waves. 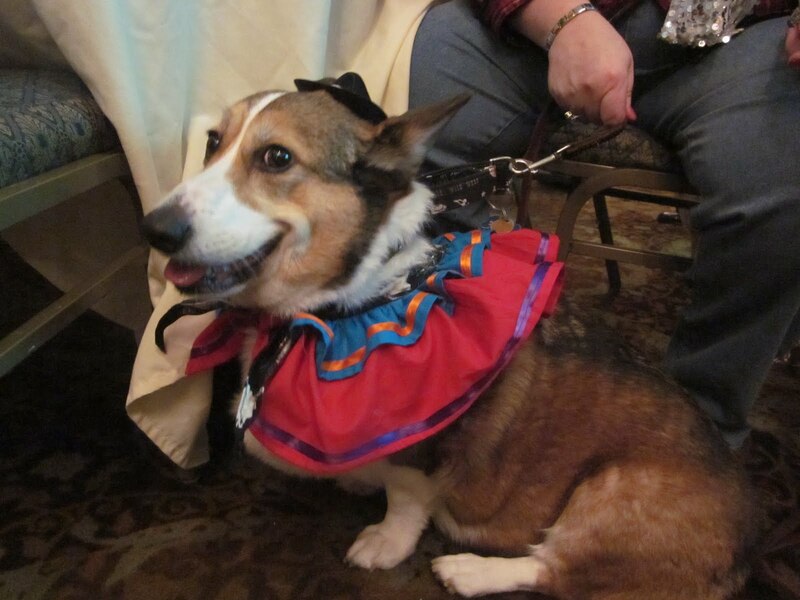 Our canine guests had the spotlight in the parade of dogs, and our mistress of ceremonies, Flora Posteraro of ABC27, formally introduced each dog. 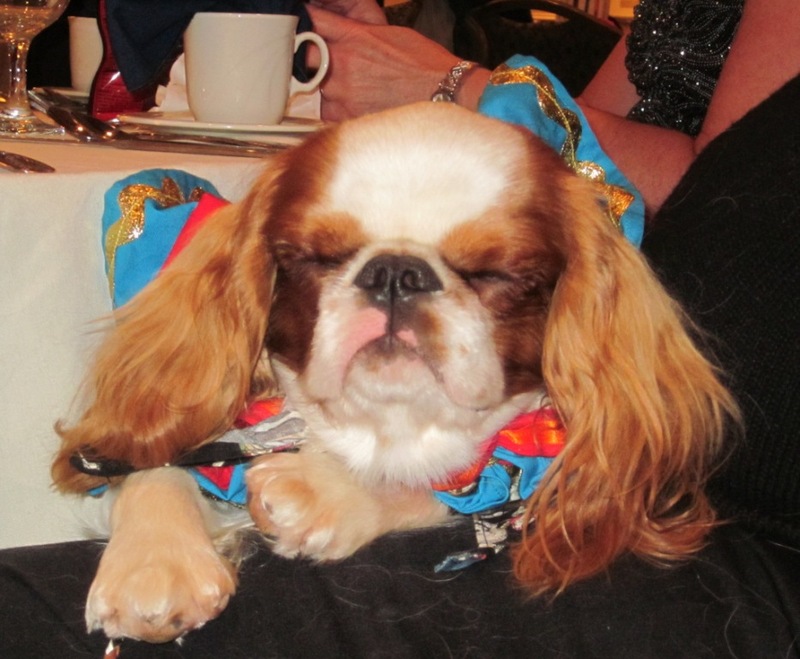 After dinner and the live auction, where several lucky people got a Yappy Hour for 10 people and their dogs, naming rights to an SSD puppy, an oriental rug, a dog-themed dinner party and a trip to Siesta Keys, Florida, it was time to dance! 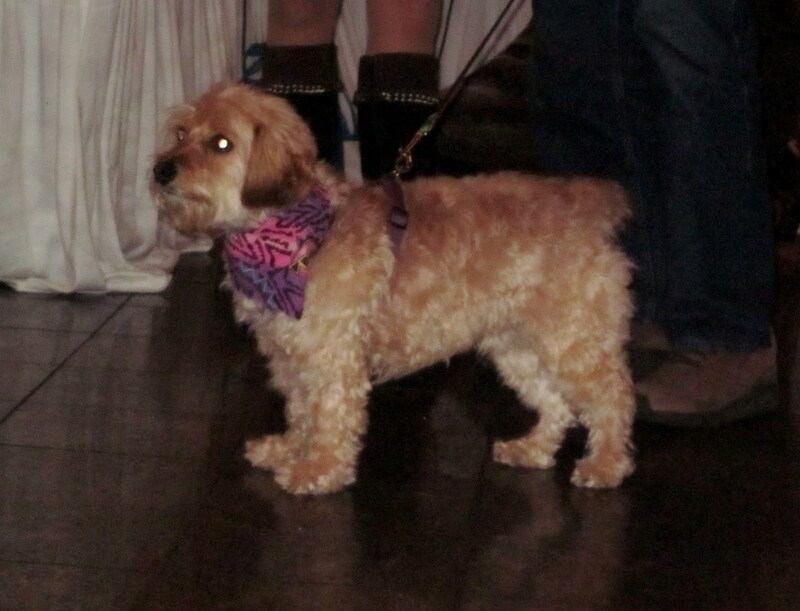 Even some of the dogs strutted their stuff on the dance floor! Thank you to everyone who joined us for the first Boots & Bling! 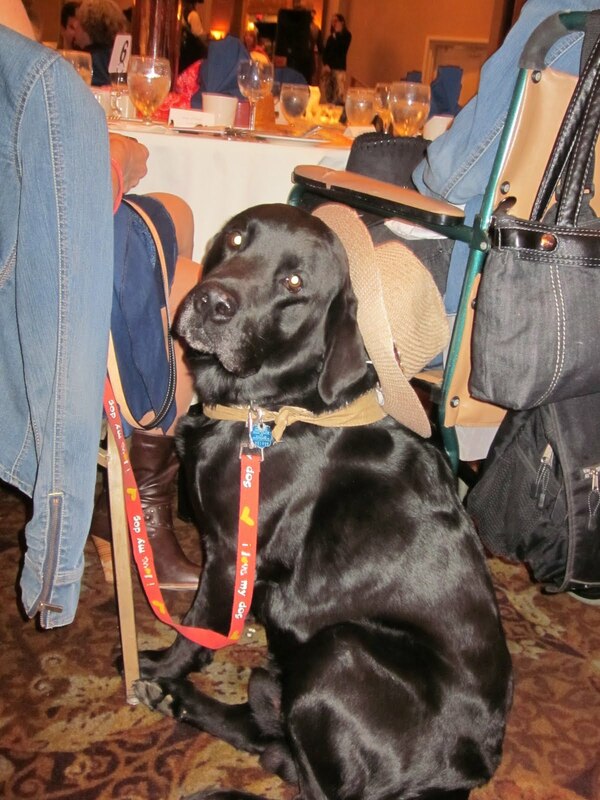 We hope you and your dogs had a boot-stomping good time. And a special thank you to all of our sponsors! “Every dog is a unique individual,” says Suzanne Clothier. 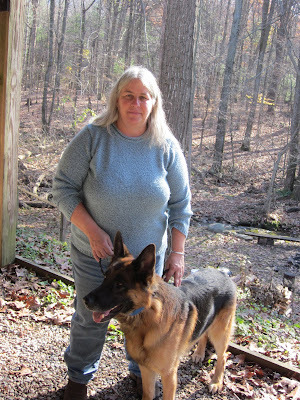 Having worked professionally with animals since 1977, Suzanne has a wide range of experience, including obedience, agility, breeding, canine midwifery, puppy testing, and kennel management. She teaches relationship centered training methods, and we’re happy to have her as the presenter for the Assistance Dogs International North American Trainer’s Conference. Today is the second day of the Trainer’s Conference that we are hosting at the beautiful and serene Camp Hebron. 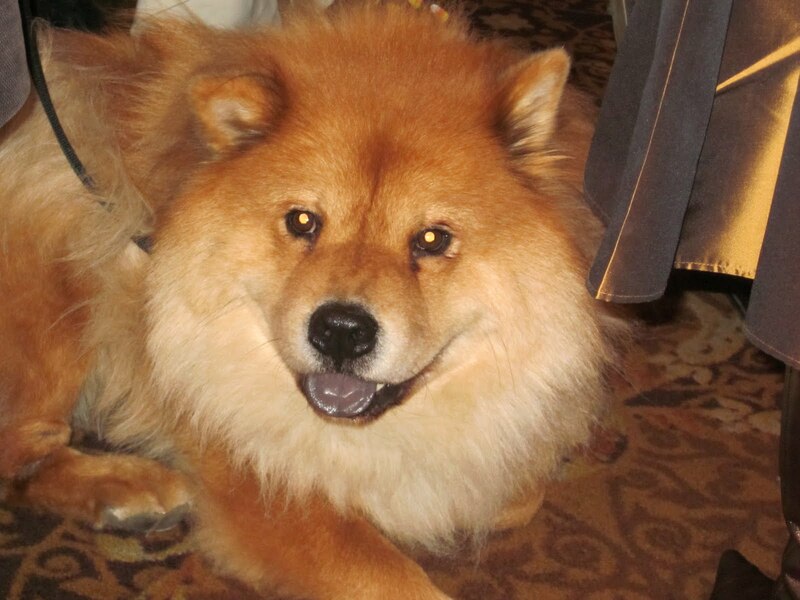 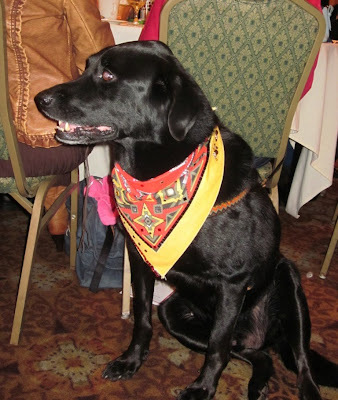 The conference is focused on Suzanne’s Clothier Animal Response Assessment Tool (CARAT™), an assessment tool for creating a profile of a dog with well-defined traits. 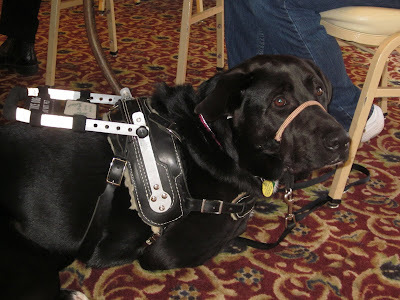 This tool can be used for any dog, and for assistance dog organizations, it can help with assessing puppies, breeding stock, and potential assistance dogs, as well as help trainers create training plans for each dog. Although other assessment tools exist, CARAT™ is unique in that it is much more detailed and is one of the few tools with statistical validity. Guiding Eyes for the Blind uses CARAT™ to assess their dogs, and they have found that they could correctly predict whether a dog would be successful in the guide dog program in 87.4% of the cases. Susquehanna Service Dogs has been using CARAT™ since 2008, and we feel it has helped in our formal evaluations of our dogs, as well as helped us see and understand each dog’s behavior. 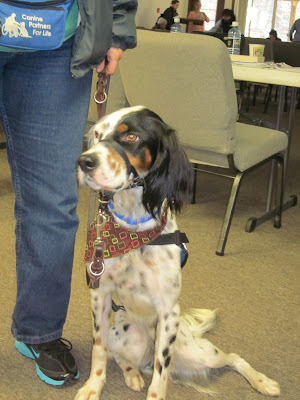 As a result, we can make better choices about each dog’s role in our program. 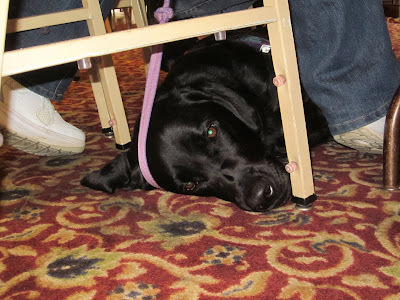 Over 50 people from 25 different assistance dog organizations are attending the conference. 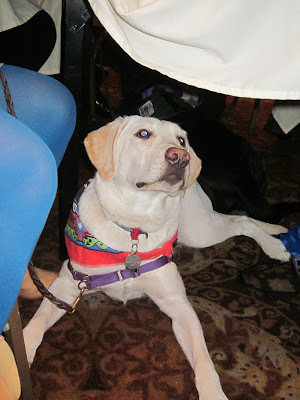 All of them are members of Assistance Dogs International (ADI), a coalition of nonprofit organizations that train and place assistance dogs. 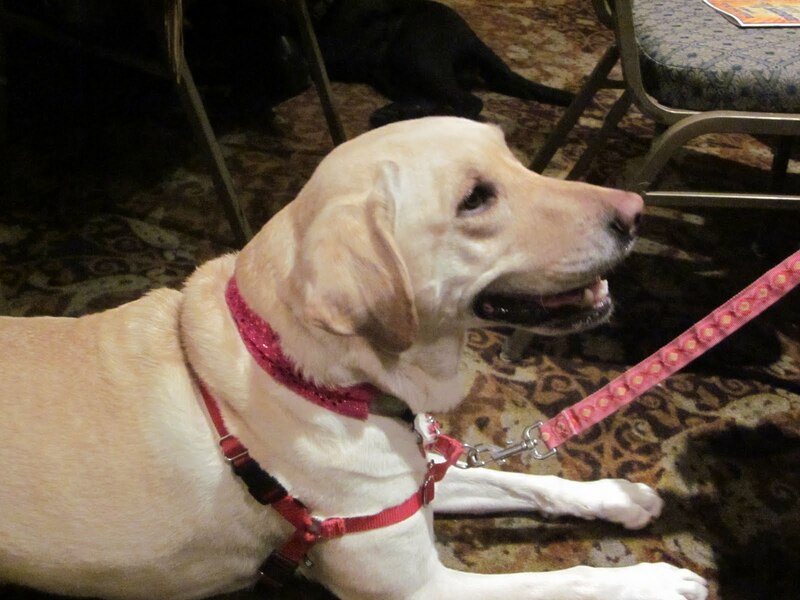 All members of ADI must adhere to certain standards and ethics in their training and placement of dogs, and members meet regularly to share ideas, attend seminars and conferences, and work to make improvements in training methods, placement and the use of assistance dogs. We are very excited to see members from so many service dog groups here at the North American Trainer’s conference. 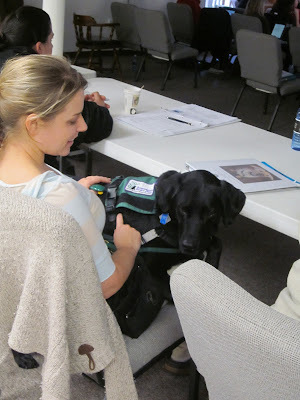 As we all learn more about CARAT™, we will all use similar language when we assess and talk about the dogs in our programs, which is especially important. 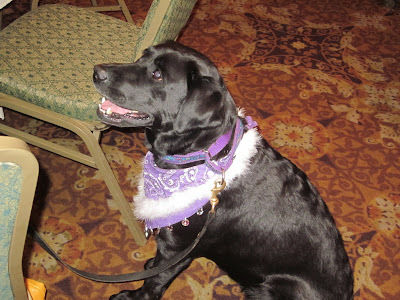 Many assistance dog organizations build strong relationships with each other and often exchange puppies or use breeding stock from other organizations. 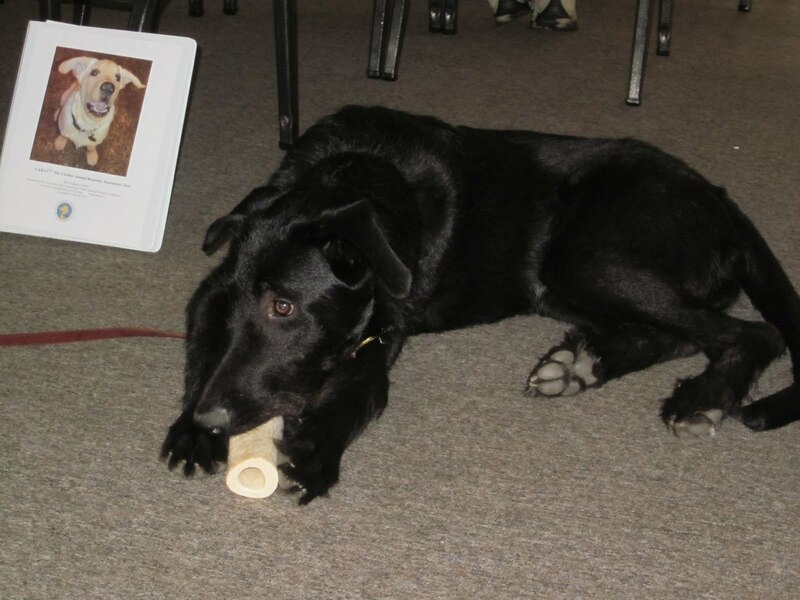 If we all use the same language when we describe a dog and its traits and personality, we will have a greater chance of training that dog within our programs and successfully placing the dog with its partner. Eagles’ Wings Service Dogs, Inc.
And we don’t want to forget about the canine attendees. 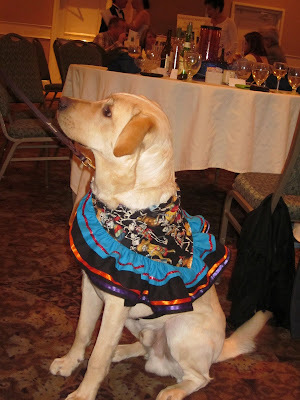 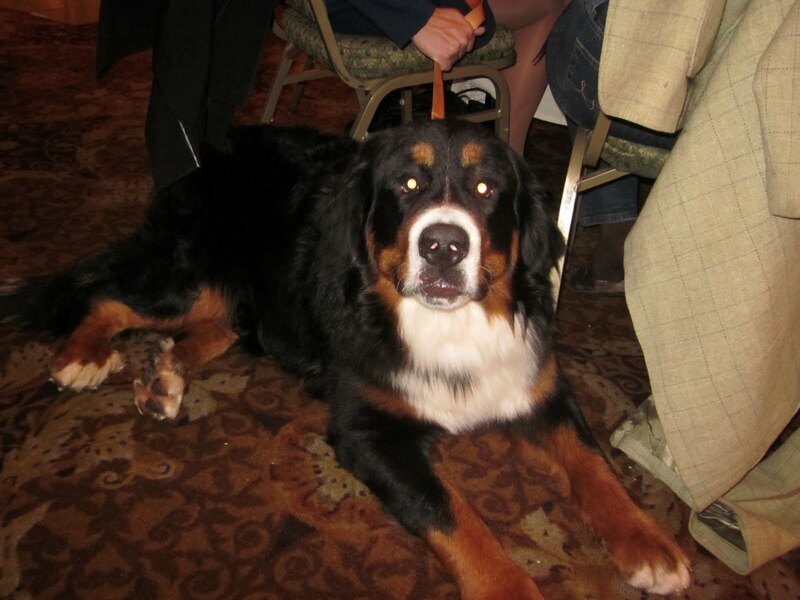 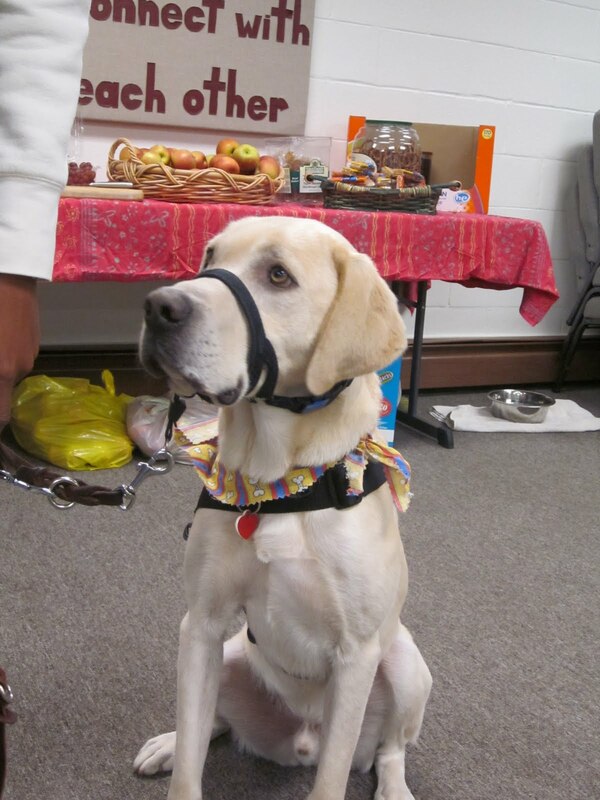 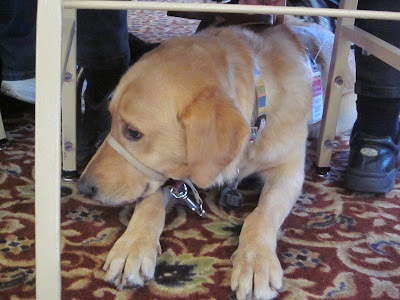 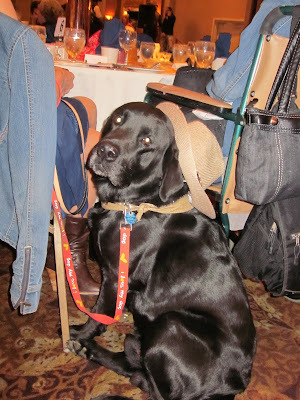 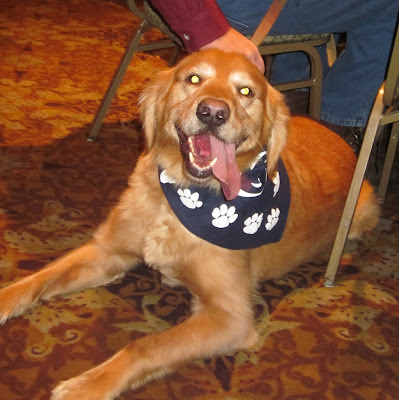 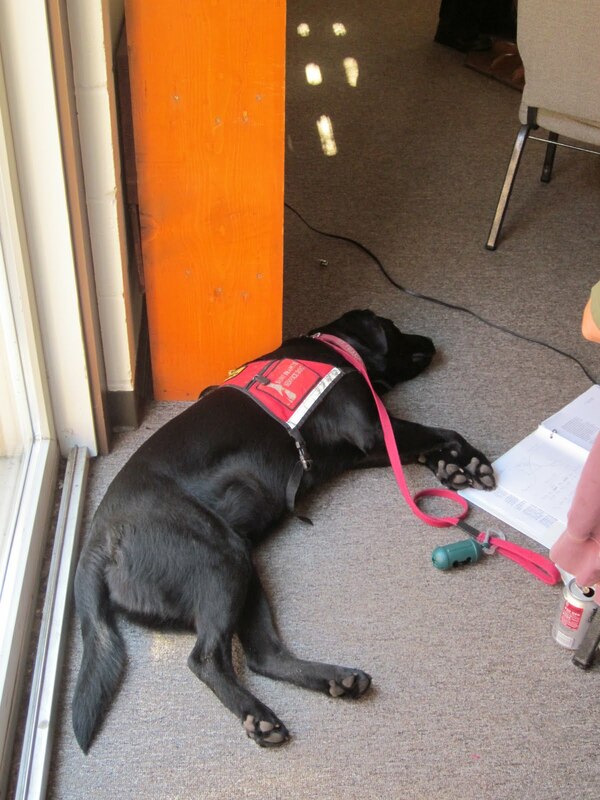 Although Camp Hebron does not allow pets, they have graciously welcomed the assistance dogs to the conference. We are learning a lot from Suzanne, and we hope everyone is enjoying the conference as much as we are! 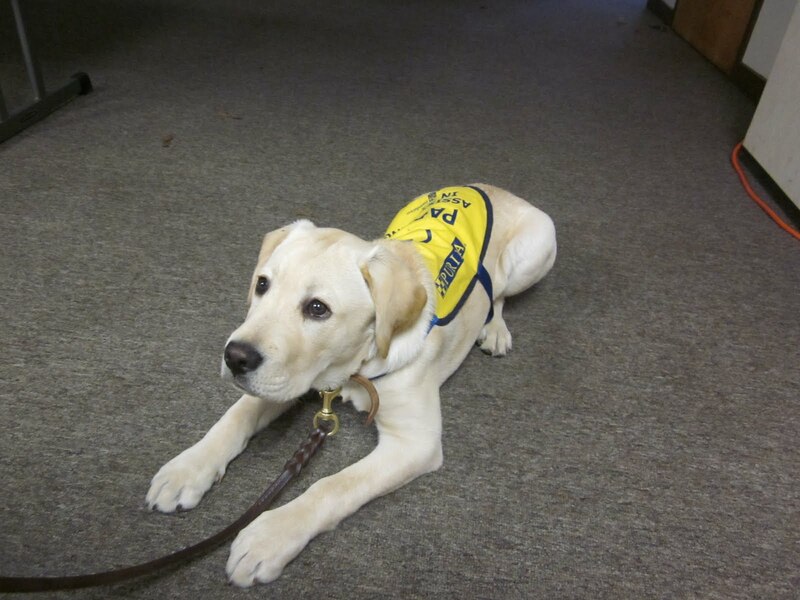 SSD Buster, Hope, Carol, Kate, Maggie and Lucy are now on the puppy cam! You can watch them play, eat and explore their world. 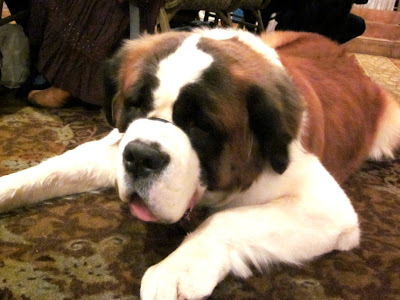 Right now, they're only 10 days old, and their eyes and ears aren't open yet. They rely on their noses to find their mom and their siblings. Soon, though, they're eyes and ears will open and they'll start to take their first steps. And you can watch it all on the puppy cam!